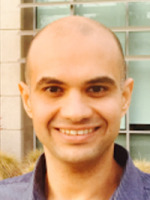 Alumnus Raef Bassily (EE Ph.D. 2011) joined the Ohio State University’s Department of Computer Science and Engineering as a tenure-track Assistant Professor in August 2017. Bassily’s research interests are in machine learning, privacy-preserving data analysis, differential privacy, information theory and coding. For his Ph.D. thesis, he developed physical-layer based security mechanisms for wireless networks. At Maryland, Bassily was advised by Professor Sennur Ulukus (ECE/ISR). Following his Ph.D. at Maryland, Bassily was a postdoctoral researcher at the Pennsylvania State University and the University of California, San Diego, before joining Ohio State as an assistant professor.